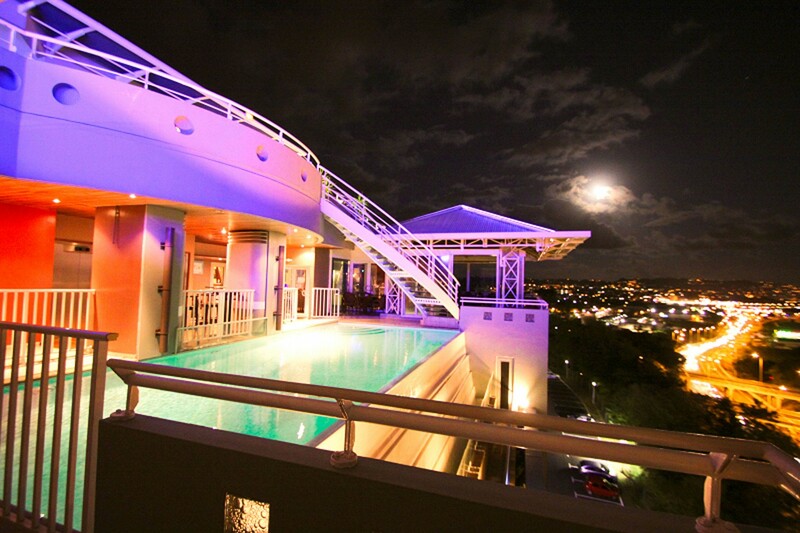 Welcome to Fort-de-France, Martinique, at the Karibea Valmeniere Hotel! 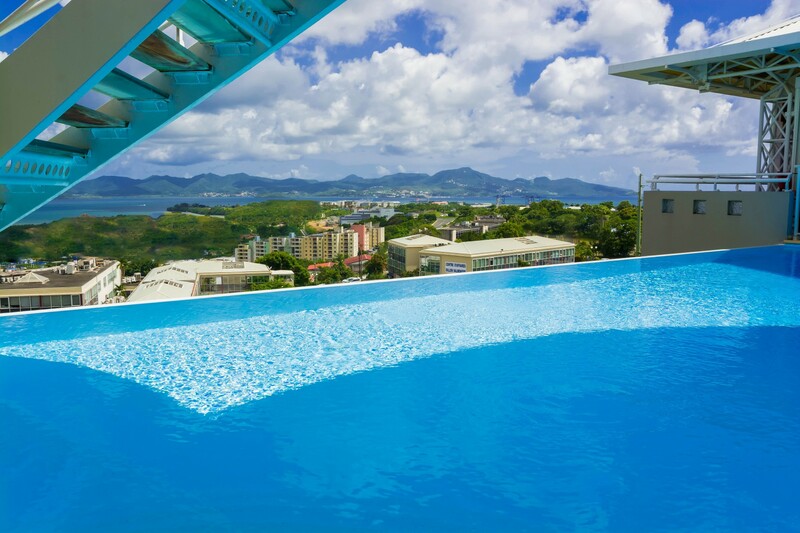 Located in Fort-de-France in Martinique, the business hotel 3 * Karibea Valmeniere enjoys a strategic position in the heart of the economic life of the island. 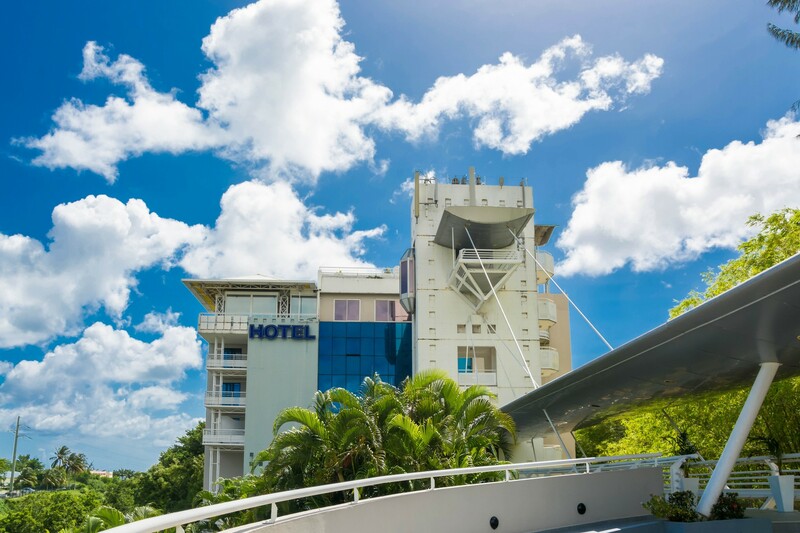 Its location, 6 km from Aime Cesaire International Airport, Lamentin business areas, Fort-de-France and the main shopping areas, make it the ideal starting point for your business trips and holidays. The sun of the West Indies. 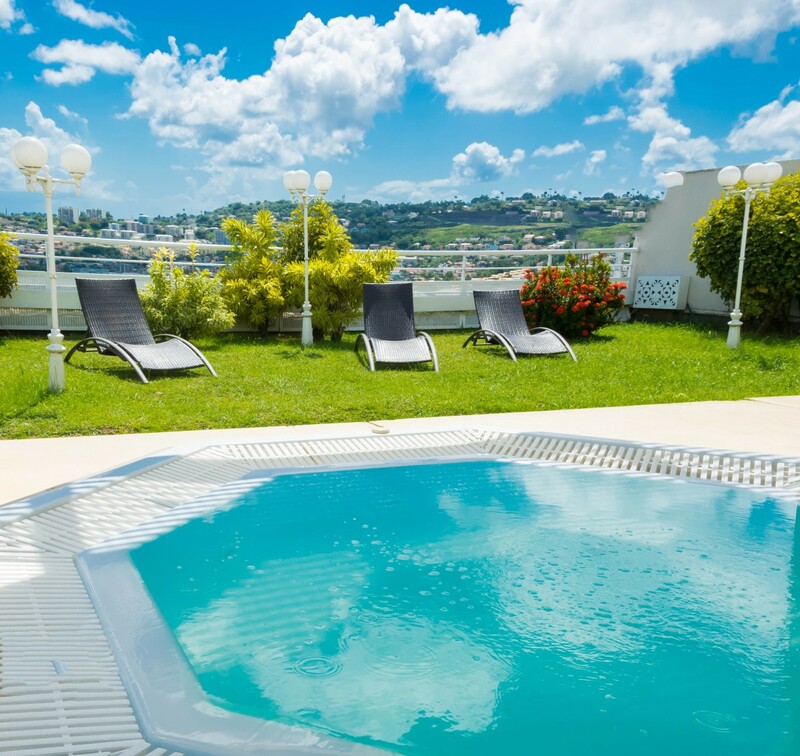 With 120 rooms spread over 7 floors with a surface area of ​​21 to 45m², the Karibea Valmeniere Hotel offers you a breathtaking view of the Caribbean Sea and the lush gardens of our hotel in Martinique. Spacious, bright and comfortable, they have been decorated with care in a modern and warm spirit. All air-conditioned, they benefit from all the equipment necessary for your well-being. Ideally designed to combine business and relaxation, you will be able to enjoy at the Valmenière all the necessary services for your business stay with a high-performance wifi, meeting rooms and in-room facilities. After a day of work, head to the terrace of the 9th floor to enjoy a solarium with a spectacular view, a jacuzzi, a swimming pool or a sauna. Also enjoy relaxing moments at the hotel SPA. Located on floors 1 to 4, the comfort rooms of the Karibea La Valmenière hotel offer you all the necessary comfort for the success of your business trips or for your leisure breaks. With an area of 21m², they have a bathroom with bathtub, a comfortable large double bed or 2 single beds, free wifi network, a desk, a minibar, a flat-screen TV with satellite channels, individually controlled air-conditioning, an individual safe, a Digis network telephone, an ironing set, a welcome tray with kettle, tea or coffee and a daily cleaning service. The hotel also has rooms adapted for people with disabilities. On the upper floors, from level 5 to 7, the superior rooms of the hotel Karibea La Valmenière offer you a stunning view of the city, the gardens or the superb & famous bay of Fort de France. Spacious and bright, you will find all the necessary comfort, mini bar, free wifi network, a flat-screen TV with satellite channels, individually controlled air conditioning, an individual safe, a telephone network Numéris, an ironing kit Daily housekeeping service. Superior rooms also benefit from a courtesy tray offering tea, coffee and light snack, quality welcome products, a bottle of water on arrival and slippers in the bathroom. For your convenience, wireless internet access is free and unlimited throughout the hotel. On the 8th floor, the restaurant Le Dôme, located on the panoramic terrace offers a magnificent view of Fort-de-France to the Baie des Flamands. Its chef welcomes you in an elegantly decorated room where furniture with warm colors and exotic wood floor create an atmosphere of intimate softness conducive to the well-being of its guests. Its crossbred menu mixes exotic flavors and Creole perfumes for the delight of your taste buds. Various breads, pastries, fresh tropical fruits, hot dishes (sausages, scrambled eggs, hull, ...), cold meats, cheeses, dairy products, cereals, fruit juices and hot drinks make up the rich buffet breakfast which is also served at the restaurant Le Dome. The Punch, a cocktail bar also located on the 8th floor, offers a breathtaking view of the city lights and the hotel's superb infinity pool. Its room with large windows opens fully on the outside creating a space Rooftop. In a colorful and festive atmosphere, we invite you to discover the delicious cocktails of our young laurel expert: Maëly Templet, winner of the Havana Club and Jack Daniel's competitions in 2016. Enjoy our selection of Caribbean rums accompanied by a wide selection of appetizers and fingers food. 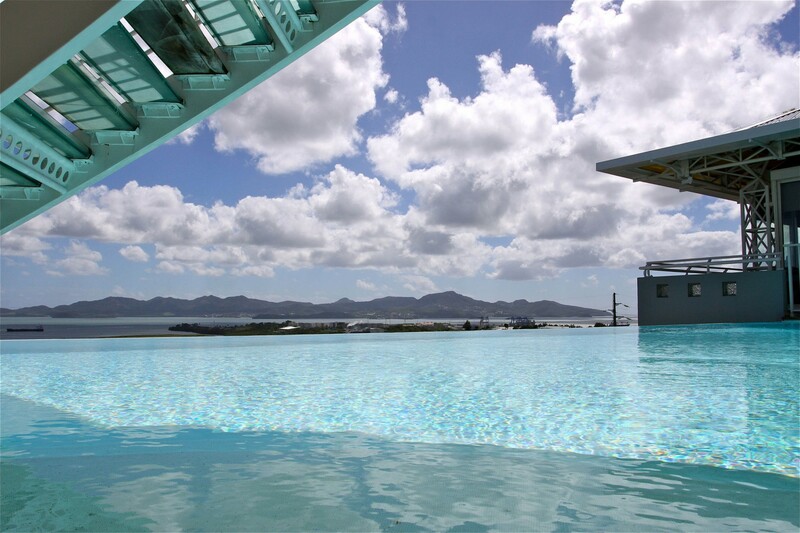 The many outdoor areas of the Karibea Valmenière Hotel offer an exceptional viewpoint on the north coast of Martinique and the Bay of Fort-de-France. On the 8th floor, discover our space "Rooftop" where you can enjoy the breathtaking view of the city and the Bay of Fort de France from the infinity pool or over a drink ordered at the "Le Punch" bar near the pool. From the 9th floor terrace, comfortably seated in a deckchair design, admire the breathtaking panorama that awaits you. An outdoor hot tub, solarium and sauna (free for hotel guests) also await you for unparalleled moments of relaxation. Enjoy our wellness center by "Le Saphir Spa" to relax in a quiet and soothing setting. Located on the 4th floor, the Saphir Spa is a cocoon of softness where you will receive exceptional care provided by a team of professionals. You can also receive your outdoor treatments in the "Rooftop" area on the 9th floor near the jacuzzi and sauna with a breathtaking view of the capital. The treatments offered are made with the best techniques of the moment. 6 km from Le Lamentin international airport in Fort-de-France, serving French companies and regional companies from neighboring islands of Guadeloupe, Dominica, Saint Martin, Barbados and Saint Lucia. 25 km from the marina of Trois-îlets, and 4 km from the Fort-de-France ferry terminal where boats for Dominica, Guadeloupe and other neighboring islands leave. 4 km from the capital of Martinique: Fort-de-France. From the Lamentin airport, take the bypass towards Fort-de-France, exit right towards La Meynard Hospital and immediately Exit the ramp, go round the roundabout and turn left. The Arawaks Avenue is on the right and the entrance to the hotel is 50 m on the left. Also designed to provide you with optimal working conditions, our establishment is ideal for your professional stays and private receptions. Six modular, equipped and air-conditioned meeting rooms, featuring natural light from large bay windows and direct access to the outside, welcome your event. At your service, our team will advise you for personalized services.